Have you set up a business tax account? Some aspects of Making Tax Digital are on ago slow while others are being ramped up by HMRC. For example, if you don’t have one, you’ll need to set up a digital business tax account (BTA). Why, and how do you do it? 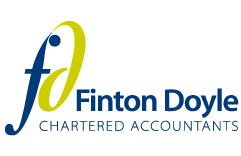 If you have an accountant or someone who handles tax compliance matters for your business, you may not have a business tax account (BTA). Conversely, if you use one of HMRC’s online services yourself, say because you operate you firm’s payroll, you probably have one even it it’s not obvious. It’s easy to check if you have one. 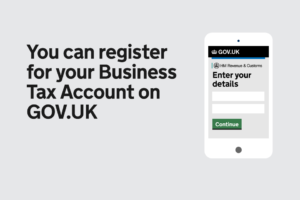 When you log into your HMRC home page, it will say “Business tax account” in the GOV.UK banner at the top. With Making Tax Digital (MTD), there will be certain communications with HMRC that you can only do through your BTA, whether or not you have an accountant. Therefore, every business to which MTD applies will need to a have BTA. If you don’t have a BTA, its easy to create one. First you will need a Government Gateway ID. Then visit HMRC’s online services page, answer some questions about your business and follow the on-screen prompts. When do I need to set up a business tax account? If MTD for VAT will apply to you, you need a BTA sooner rather than later. For most registered businesses, MTD for VAT starts from the first VAT return period starting on or after 1 April 2019, so you need to have and be reasonably familiar with your BTA by then. While the details are still being sorted by HMRC, at this stage it looks as if every business in MTD will be required to give HMRC an e-mail address. Plus, you’ll have to use the BTA if you change your accountant or other tax representatives. The BTA will also be the only way to set different levels of permission to access tax records for persons inside your organisation. However, HMRC says it will keep to a minimum the number of things that can only be done through a BTA. a return is required. Your BTA will also show when and how much tax is owing or is owed to you. You can pay tax through your BTA, and sole traders can return their payments on account, if appropriate. Plus, if you filed your tax return online, you can use your BTA to amend it.